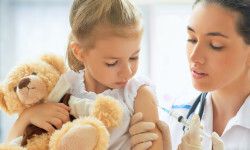 New research published in the open access journal PLOS Medicine shows that in states where parents can obtain a religious or philosophical exemption from vaccinating their children, parents are increasingly choosing not to vaccinate. 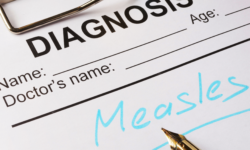 The number of kindergarteners who have never received a measles, mumps, and rubella (MMR) vaccine is increasing, and children who are not fully vaccinated according to the CDC’s recommendations reached 27.8 percent in 2015. 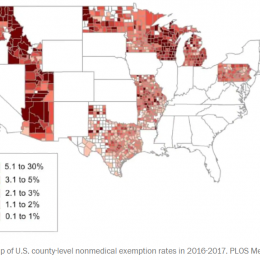 As the researchers noted in their conclusion, the high rate of vaccine exemption in these densely populated urban areas puts the regions at high risk from vaccine preventable disease outbreaks, like the measles outbreak that struck roughly 80 individuals in a small Minnesota community last year. Vaccination rates in that region had plummeted to just 42 percent in the years prior to the outbreak. Unfounded fears over autism were entirely to blame for the Minnesota outbreak, and likely still a large contributor to the recent decline in childhood MMR vaccination rates in states where exemptions are allowed. 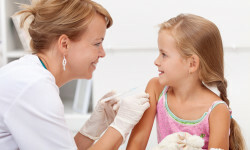 Research groups from organizations as diverse as the National Institutes of Health to anti-vaccine advocates themselves continually fail to establish any link between childhood vaccines and autism. What’s the Worst that Could Happen If We Ditch Vaccines?